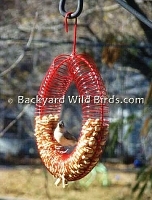 Bird Seed Wreaths like Sunflower Seed Wreath are a nice decoration to hang from a tree to attract birds and to feed themselves with a great source of energy. 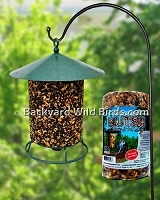 Bird Seed Bells with a Birdie Bell holder makes a nice gift. 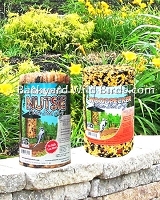 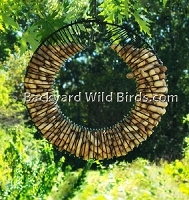 Whole Peanut Feeder Wreath can keep birds occupied getting their treat and give you an opportunity to see them longer. 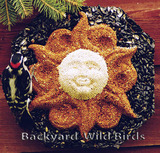 Sun Bird Seed Wreath is made with black oil sunflower seeds, white millet and red millet. 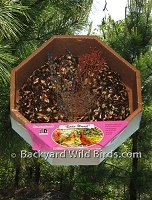 Makes a good place to watch birds cling and peck away.